Has your bathtub lost some of its shine? Is it looking dated or drab? Even if you have a durable tub that was built to last, its finish may not have the same longevity. 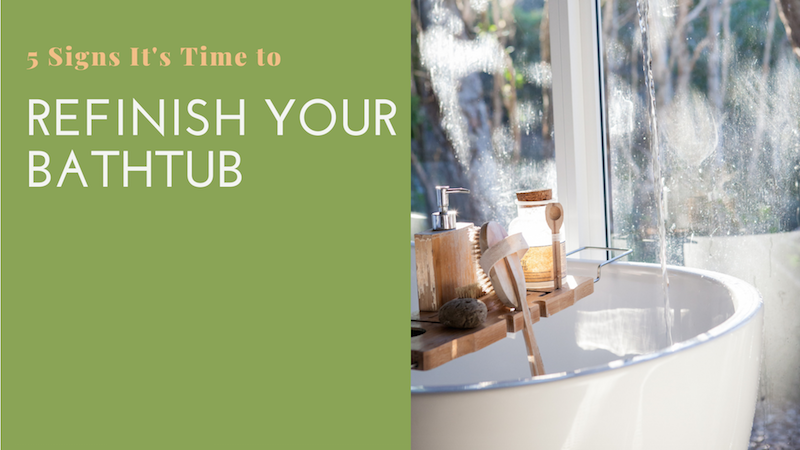 In this post, we’ll outline 5 signs it’s time to refinish your tub. We’ll also briefly touch on why bathtub refinishing is such a great option if your tub is beginning to feel old and dingy. Bathtub refinishing rejuvenates your tub to a like-new condition! This is done through the process of refinishing, or reglazing, of your tub. After a certain amount of time, bathtubs lose their shine and functionality. They simply won’t look and work as well as they once did. 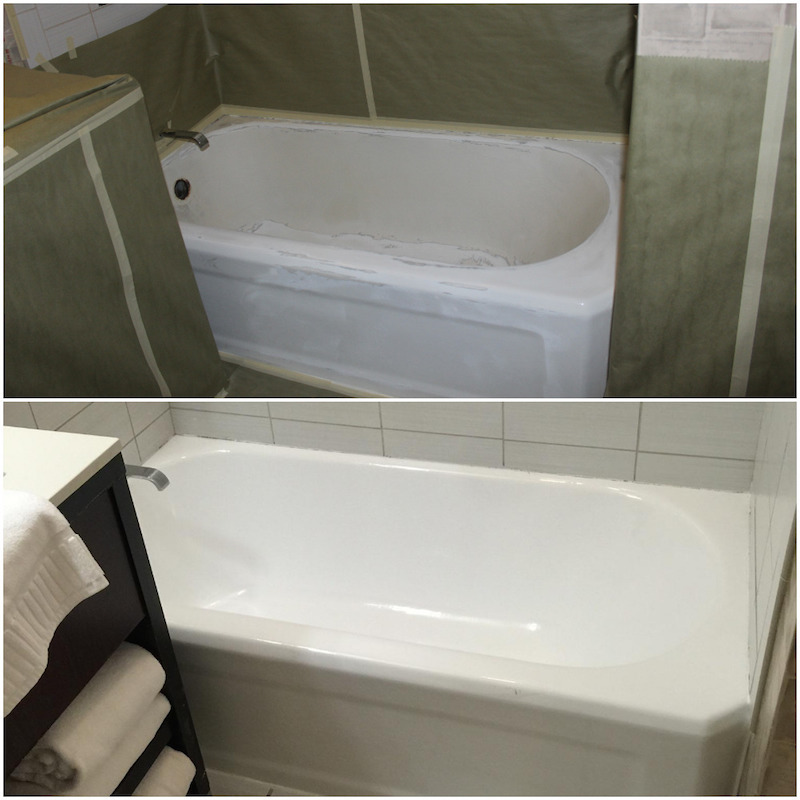 With bathtub refinishing, the original look and feel of the bathtub can be restored. The bathtub will be a rejuvenated version of the original tub. Lasts just as long as a new tub: When you refinish your bathtub, it’s not just a patchwork solution to the problem. Once refinished, it has just as long a life as a brand new bathtub. You don’t have to go through the replacement process: Replacing your tub is not as easy as ordering a new one on Amazon. You’ll need to find a tub that fits your exact space, remove and dispose of your old bathtub, and install the new one. It’s a less expensive option: Simply put, it just costs less to refinish a tub rather than replace it with a new one… and that’s before you even consider installation costs, which are significant. 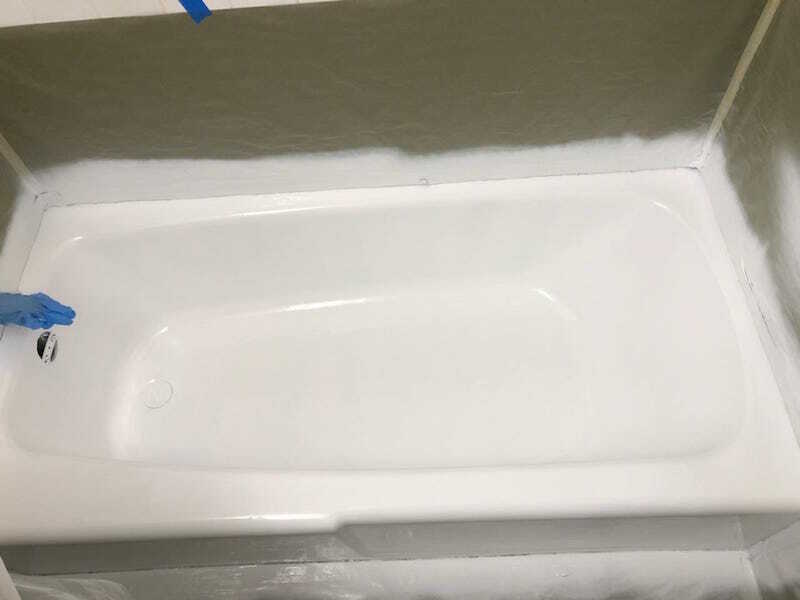 Do I need a new tub or should I refinish my current bathtub? We get questions all the time about whether or not customers should refinish their bathtub or just buy a new one. As outlined above, the benefits of refinishing your tub are real. Do you have a plan to remove your bathtub? This is where a lot of homeowners run into trouble. Unless you have a solid plan, it’s likely not worth replacing your tub. Why do you want a new one? Do you not like the color? Is it chipping? As you’ll read below, these are easily fixed with a bathtub refinishing job. Do you like your bathtub? If you like your bathtub, why replace it? Bathtubs are built to outlast their finish. Is the refinishing job part of a larger remodel? The one time it may make sense to replace instead of refinish is when you are remodeling your home. Still, if you particularly like your bathtub, it still may make sense to refinish over replacing. Unless your bathtub is leaking or does not fit the space, it’s likely a better idea to refinish your tub instead of replace it. One of the most common questions we receive at Bay State Refinishing and Remodeling is “how do I know when a tub needs to be refinished?”. Most of the time, if you think it should be refinished, it probably should be. Below we’ve listed 5 definite signs it’s time to refinish your bathtub. Experiencing one of these signs? Give us a call at (617) 848-0453 to learn more. Chipping is extremely common in bathtubs that are regularly used. 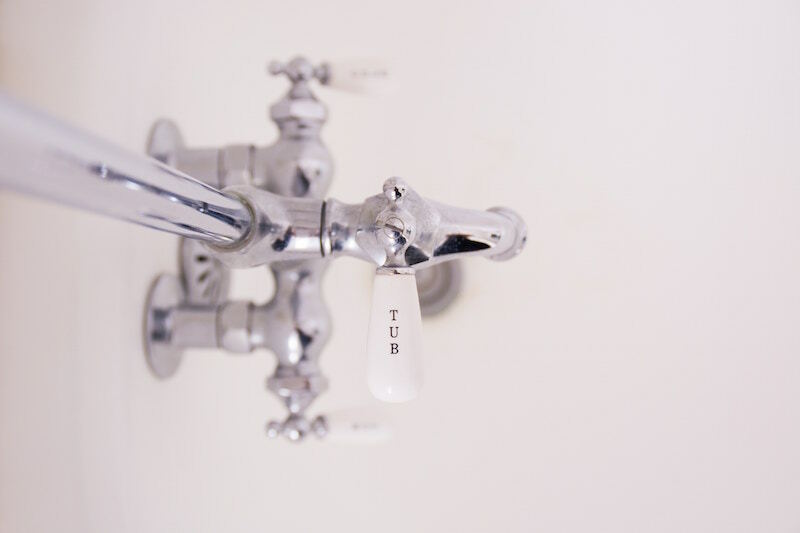 Often, something has fallen onto the bathtub’s surface, such as a showerhead, tool, or even your children playing with toys in the bathtubs (trust us, we’ve seen everything). These chips look bad and untidy, lessening the aesthetic appeal of your bathroom. The chips also mean that the bathtub’s barrier against moisture is gone, leading to potential rust or other water damage to the iron, steel, or any other material your bathtub is made from. A chipped tub also just feels uncomfortable under your feet, lessening your enjoyment of your shower or bath experience. Fortunately, these discolorations are normal! Unfortunately, they are hard to get rid of and could be signs of hard water or mold issues in your tub. No matter the reason for the discoloration, the one thing you can be sure of is its going to be hard to change it back to the original color without a refinishing job. This discoloration has likely been developing for repeated use under certain conditions, and no amount of scrubbing is going to fully restore it on its own. When refinishing glaze wears down, so does your bathtub’s ability to be fully cleaned and maintained. While brand new or newly refinished bathtubs are a cinch to clean, that cleaning ability wears away over time as the gloss degrades. This allows grime, dirt, and other contaminants to stay on the surface of the tub. Unlike the discoloration, with enough bleach and cleaning solution, you’ll likely be able to get your tub clean in some capacity. But old tubs simply will get dirty again more quickly, as the refinished material becomes porous and allows in contaminates much easier. When your bathtub is new or been recently refinished or glazed, the tub will be sparkly and shiny. This not only makes your bathroom look cleaner, it makes it more beautiful. A shiny tub becomes the focal point of your bathroom, just like you imagined it’d be when you first bought the tub. Unfortunately, as time goes on this shine fades, turning dull. The reason for this dulling is simple: the protective coating ofthe refinishing material has withered away. Not only is this less beautiful and aesthetically pleasing, but your tub is no longer protected from moisture and other damage. If you’ve purchased a home with a tub already installed (as most people have), you may just simply not like the color. Tubs come in a variety of colors and shades, particularly with clawfoot and other standalone tubs. When you refinish your tub, it can be refinished in any color you’d like. At Bay State Refinishing and Remodeling, we’ve been helping Massachusetts homeowners refinish their bathrooms for years. Our process is centered around your satisfaction, from the finished product to the price you pay, we want you to be completely satisfied from soup to nuts. Contact us today to learn more about our process and what we can do for your bathtub and bathroom.